Congratulations to Sarah John Afana! 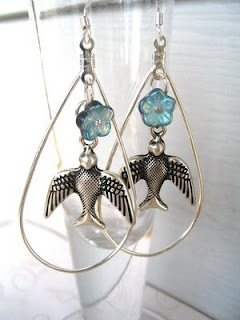 Winner of the Silver Swallow Earrings! all persons following my blog were entered, winner was determined through a random drawing. Check back often, I will be posting another giveaway very soon!